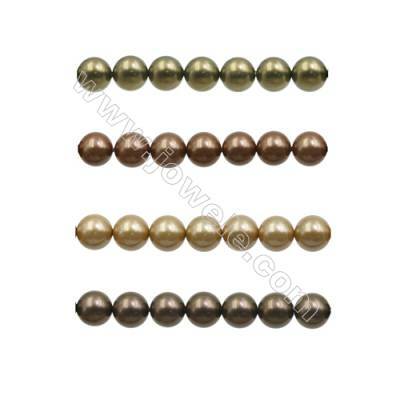 Jowele carries a fantastic assortment of beautiful pearls from around the world! 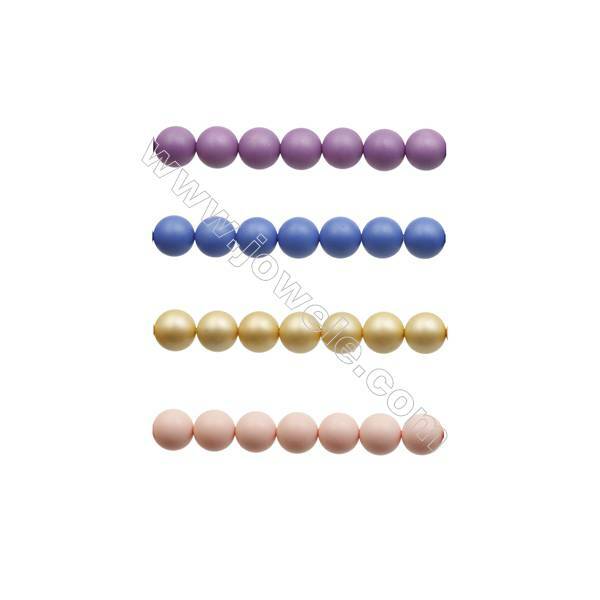 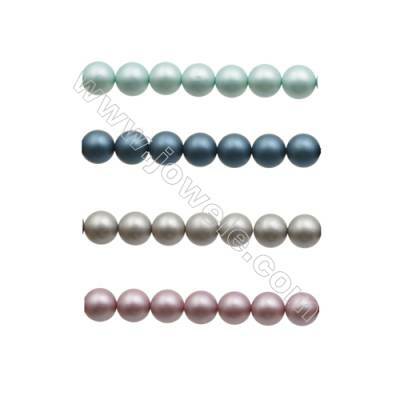 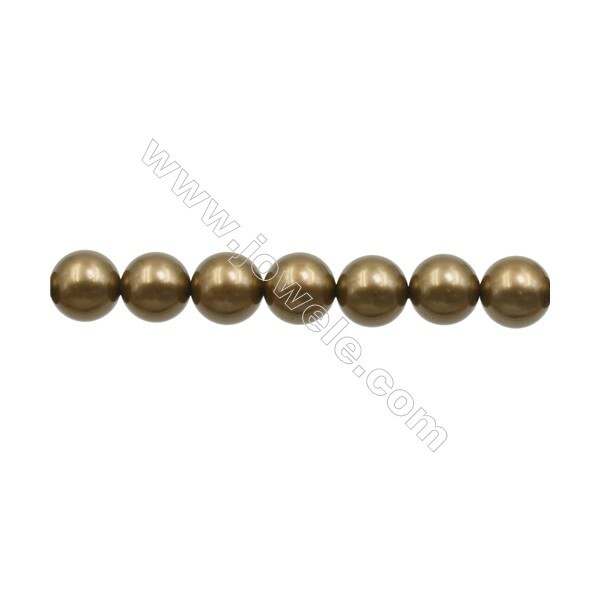 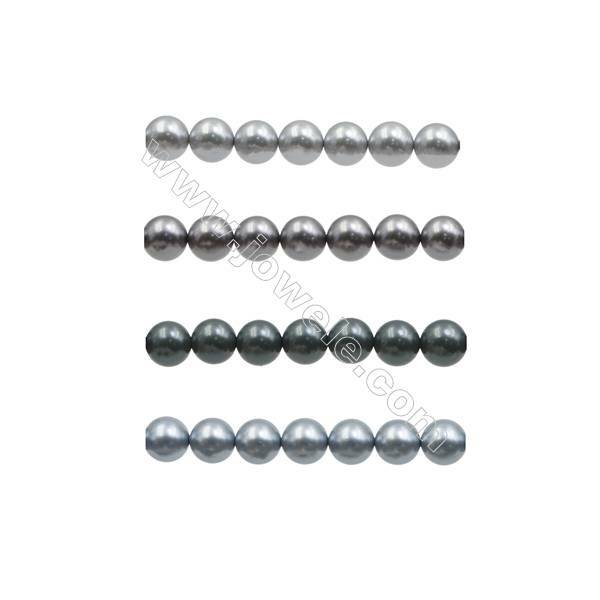 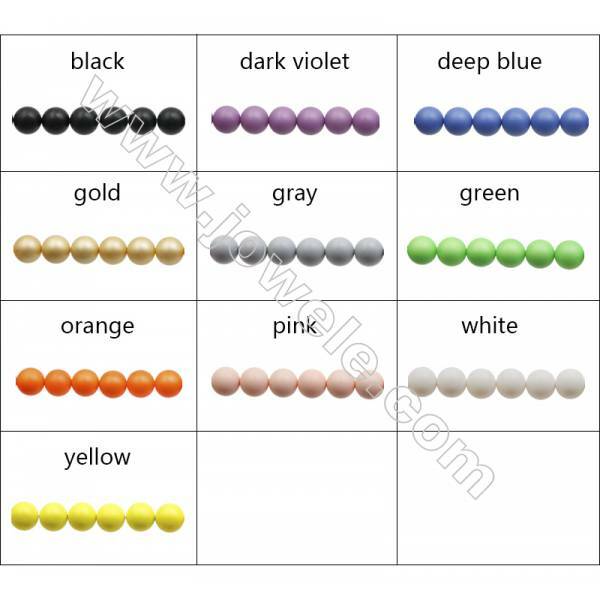 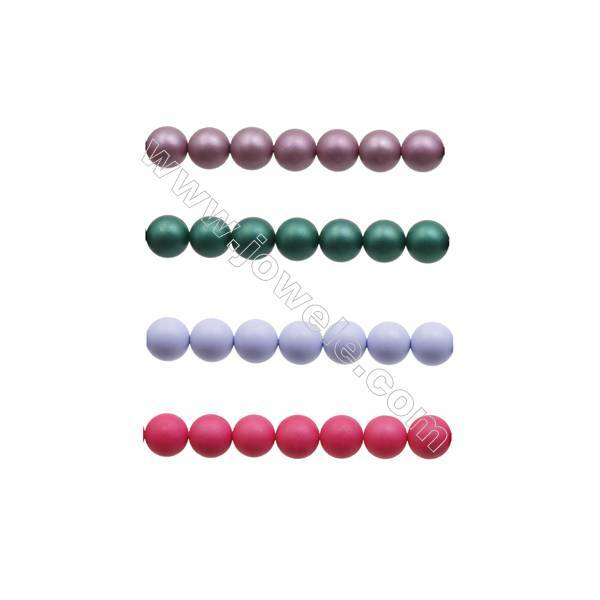 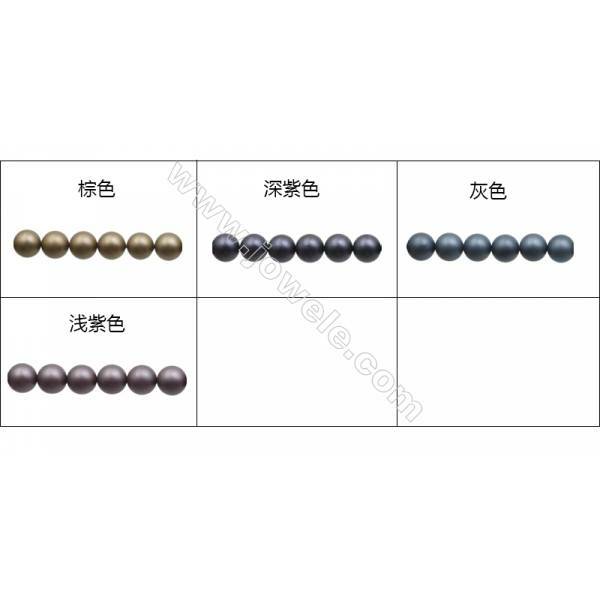 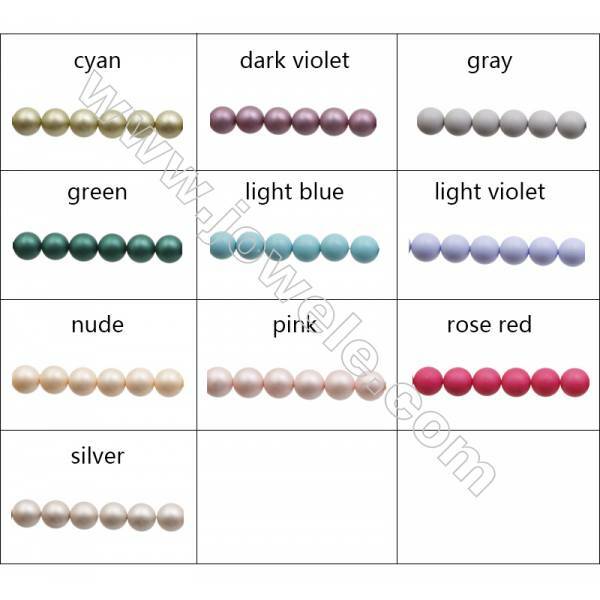 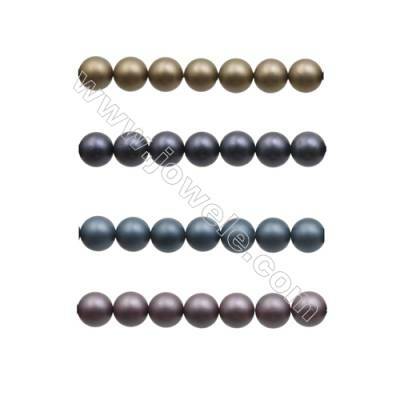 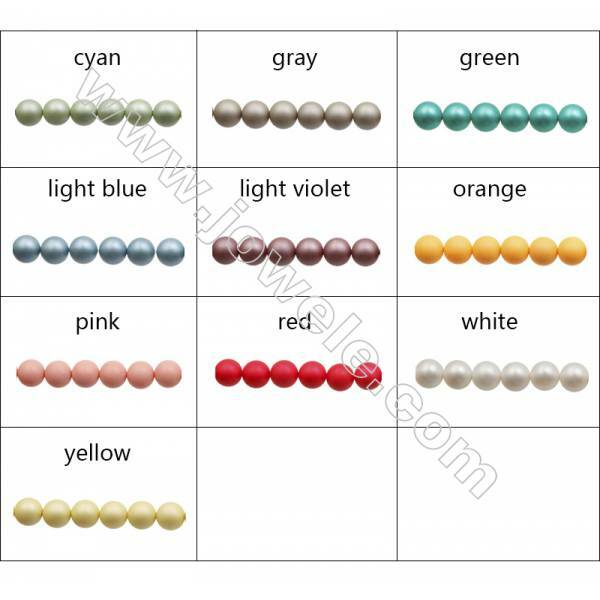 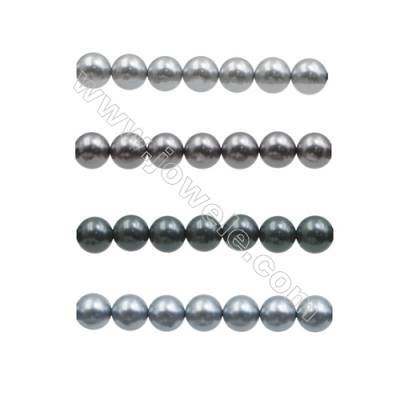 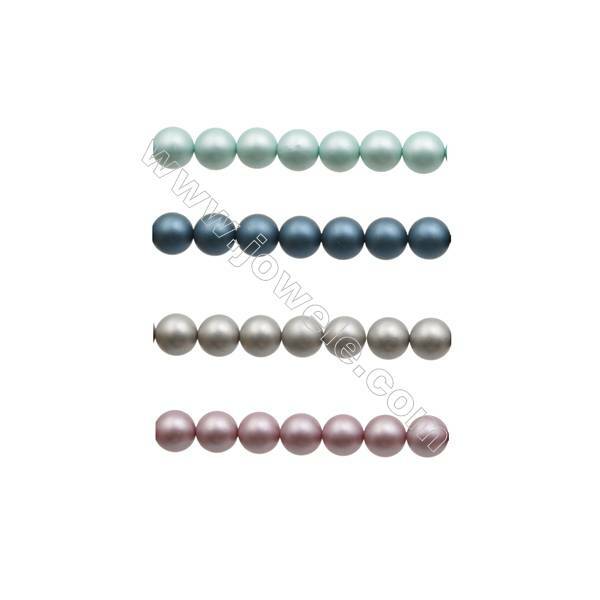 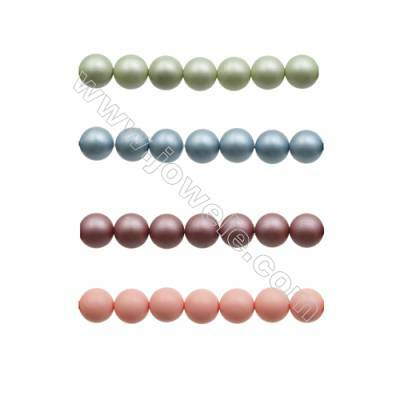 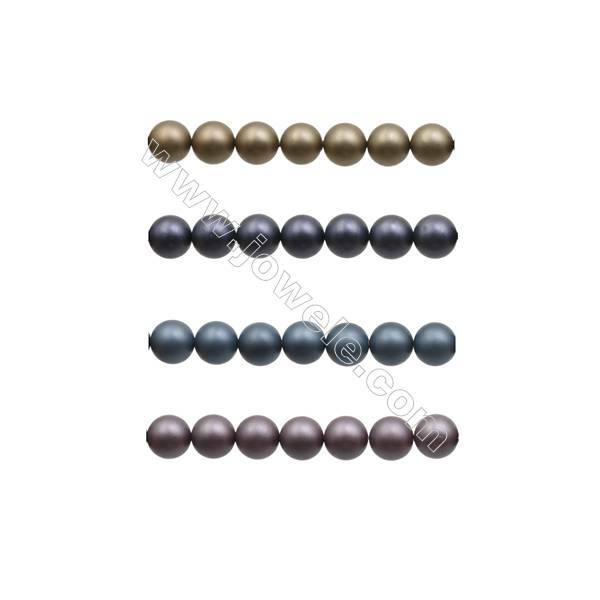 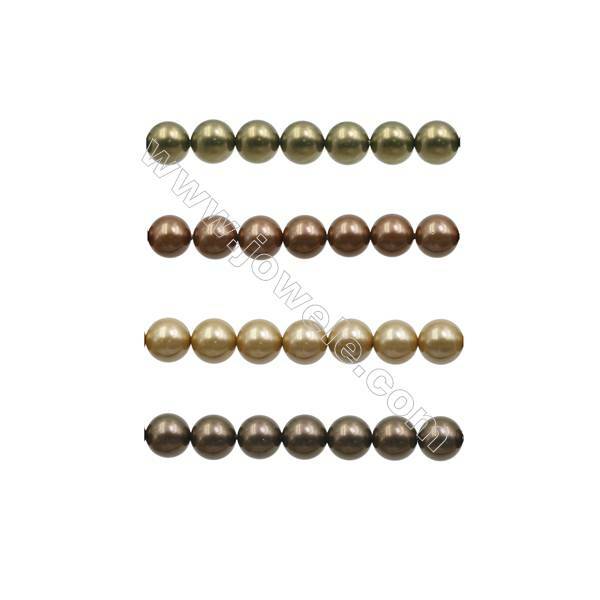 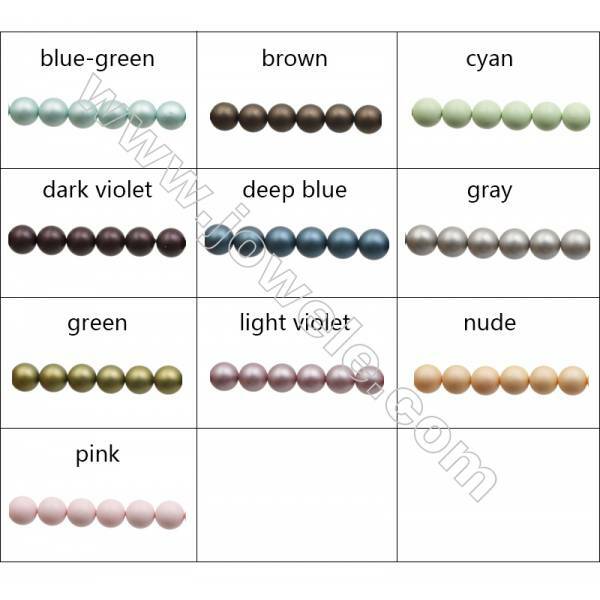 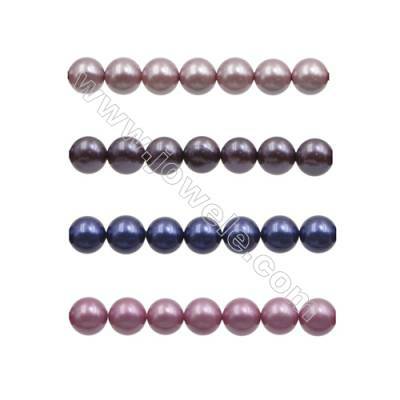 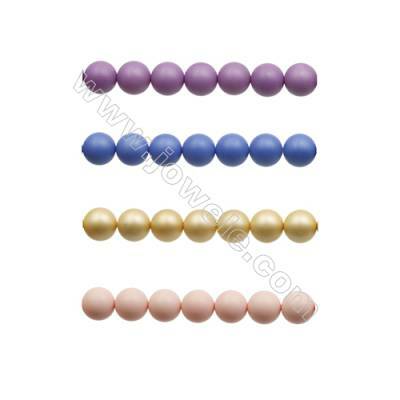 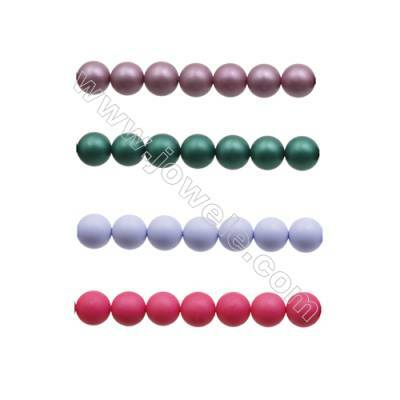 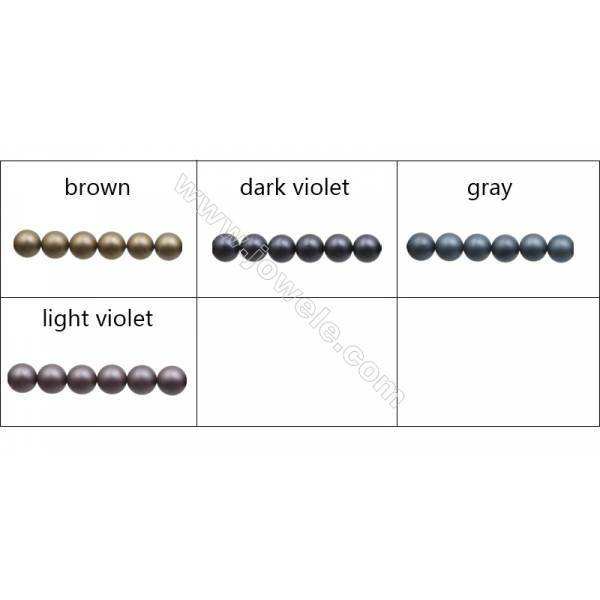 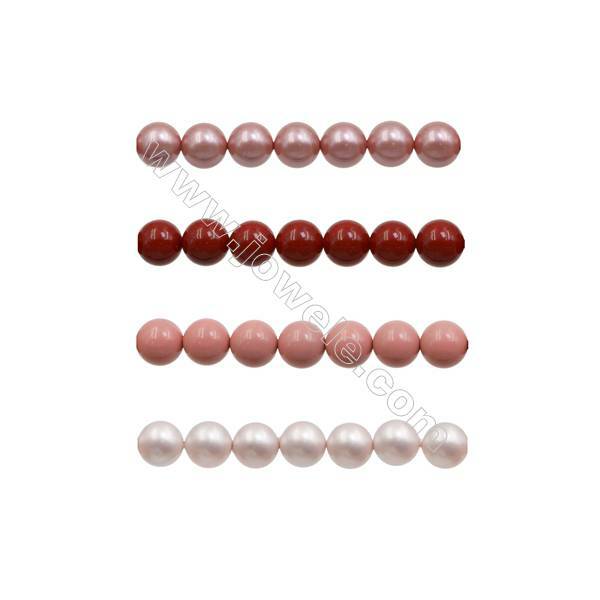 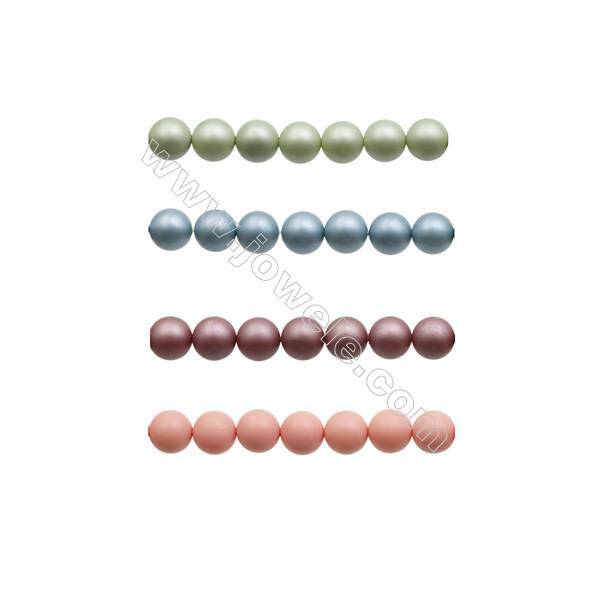 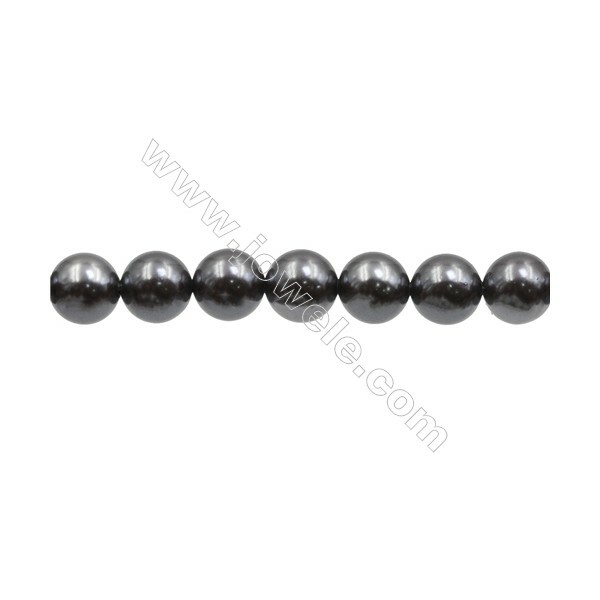 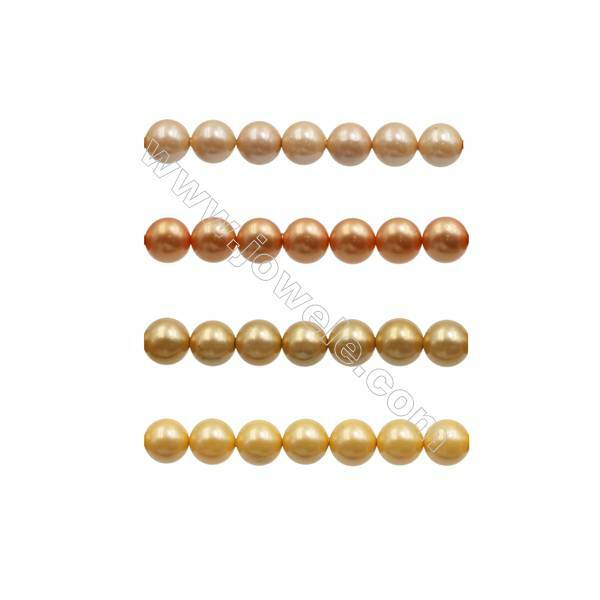 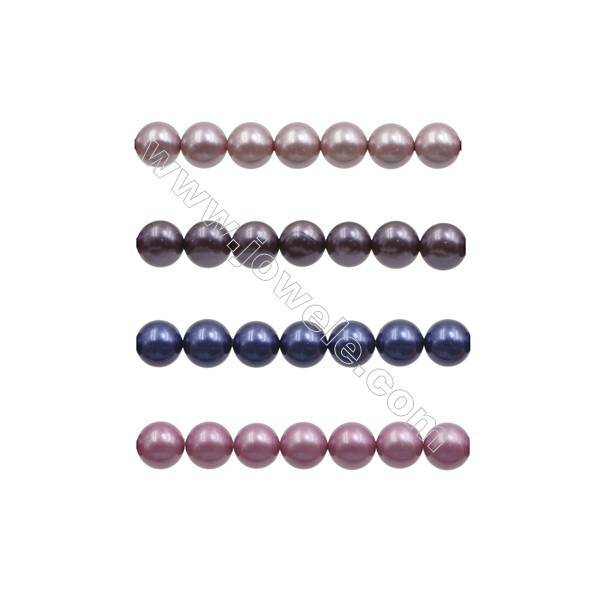 Variety of Shell pearl beads,Freshwater pearls,Cultured Pearls Seed Pearls and more. Meanwhile. 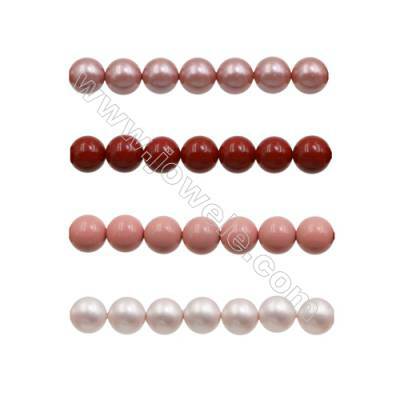 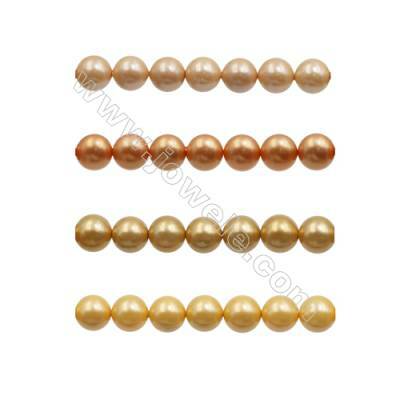 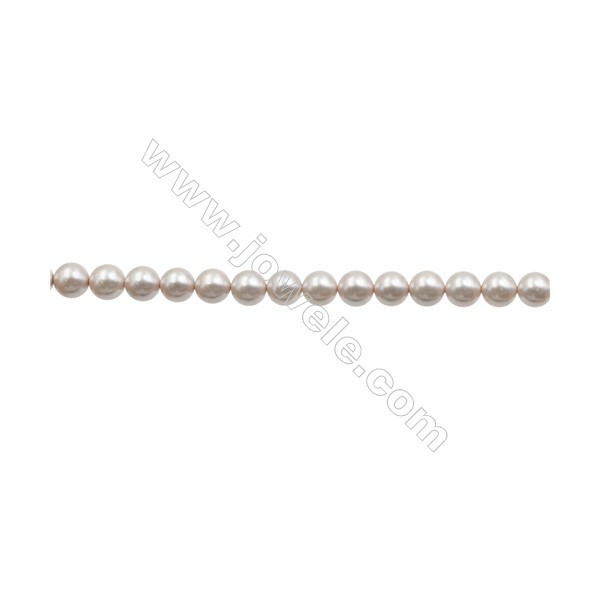 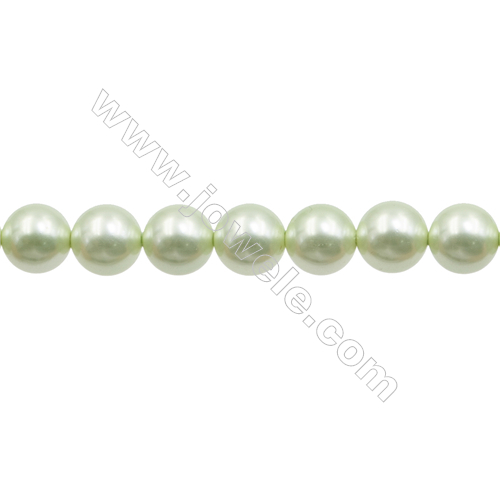 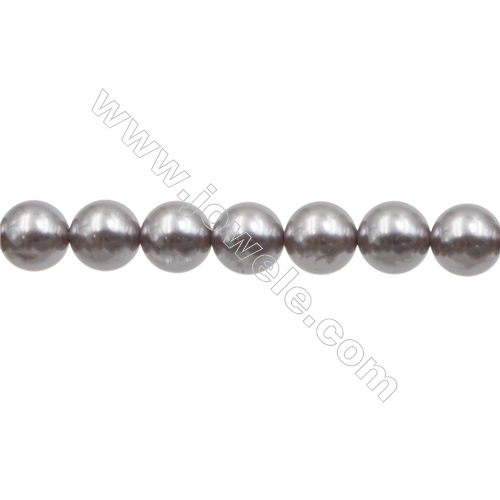 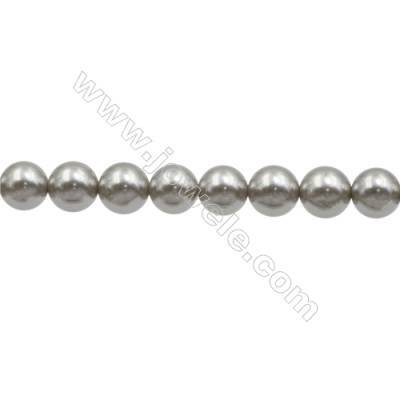 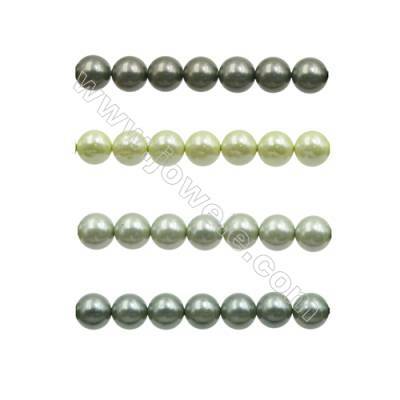 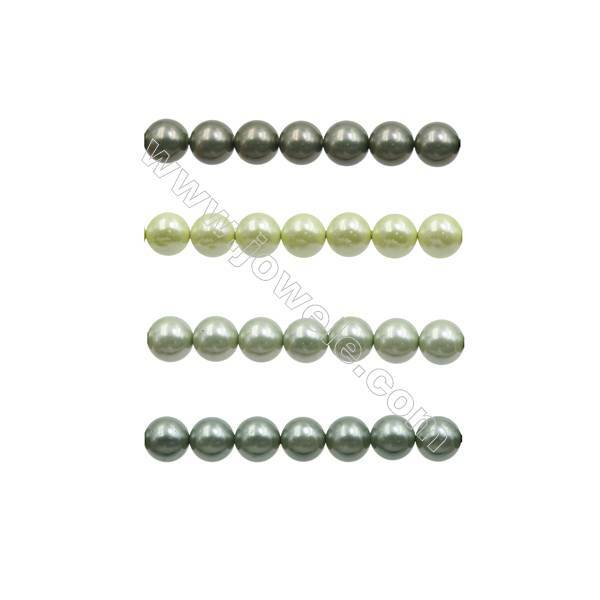 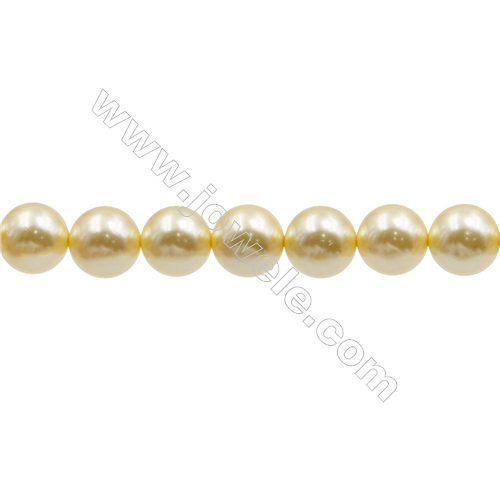 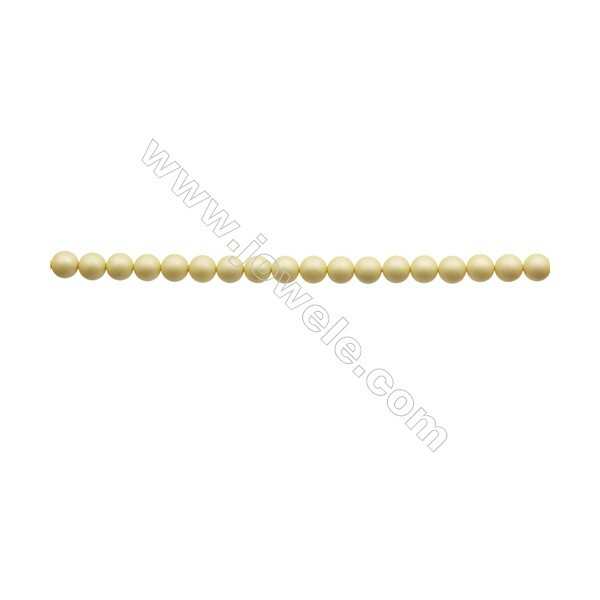 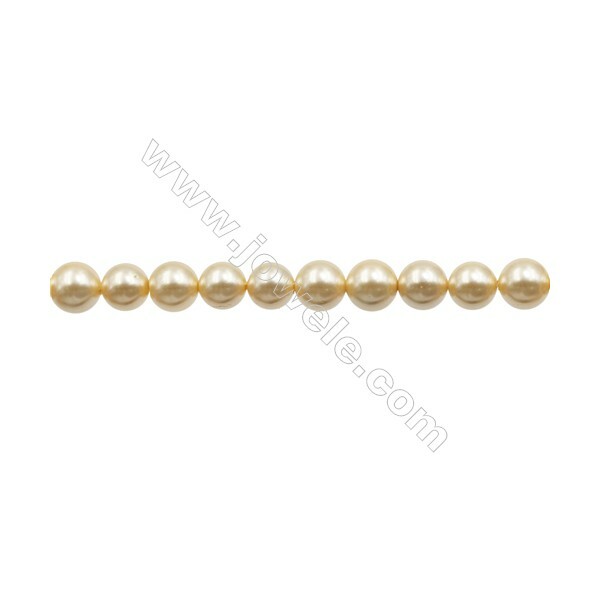 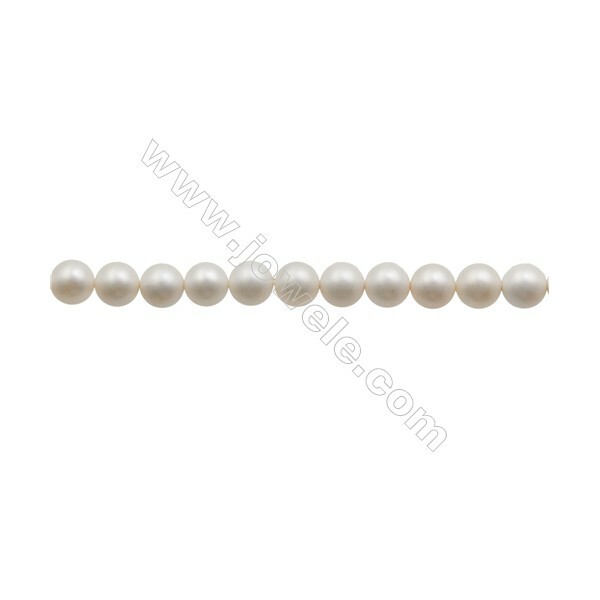 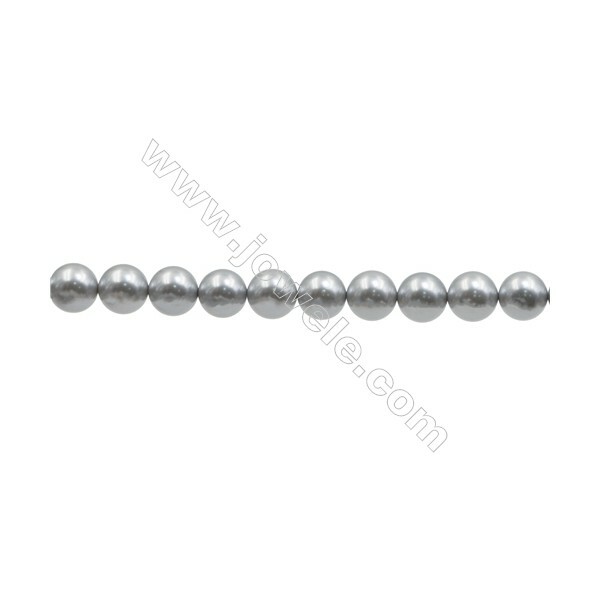 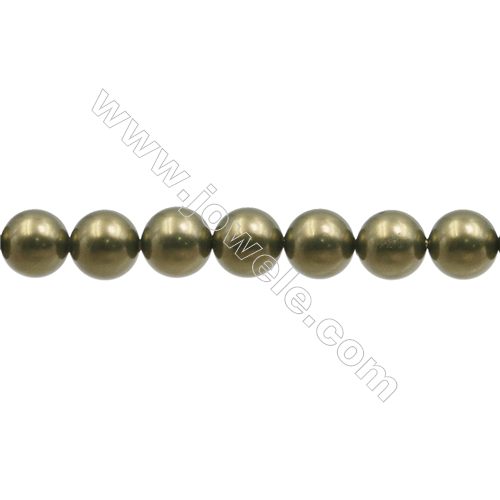 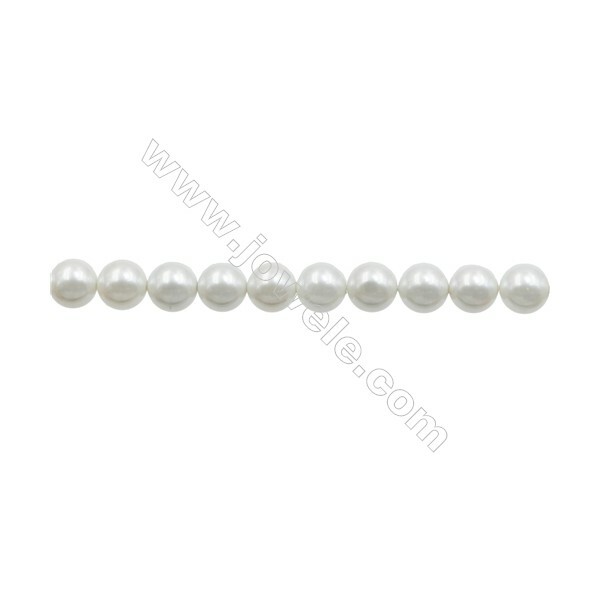 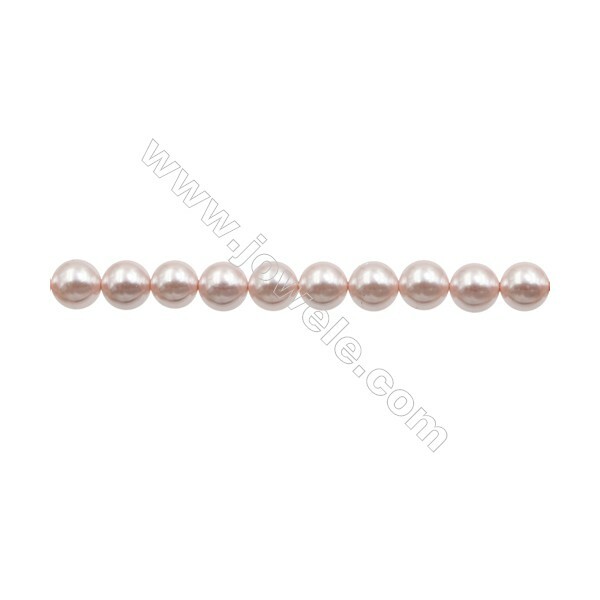 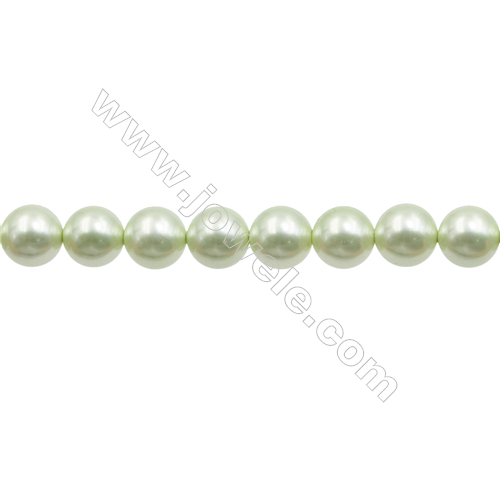 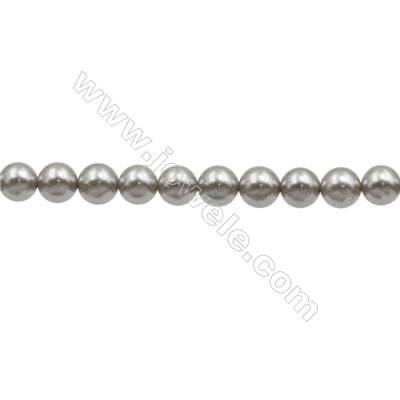 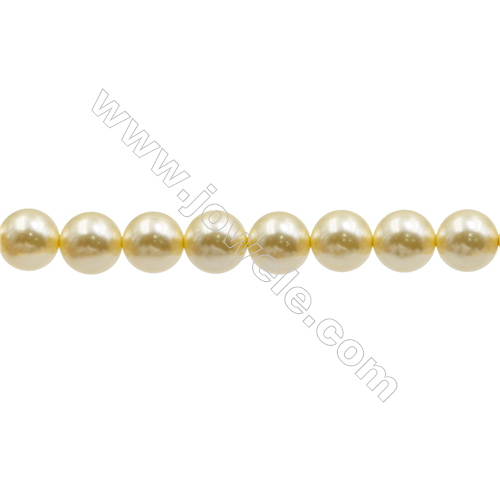 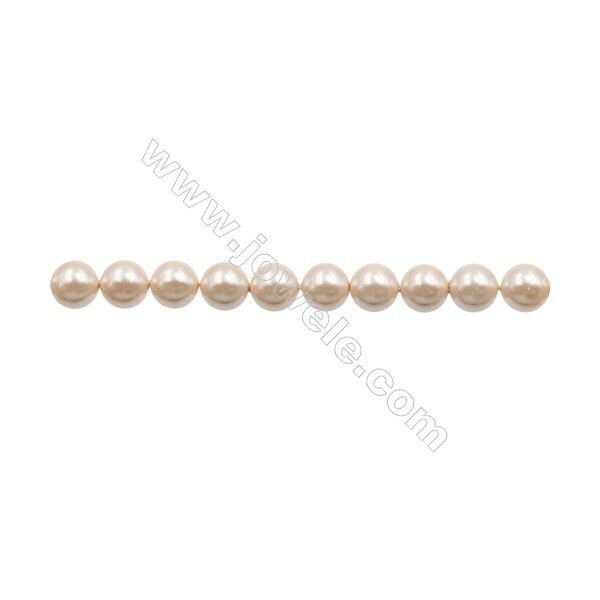 Jowele can also be custom-made other kinds of pearls strand for your own requirements. 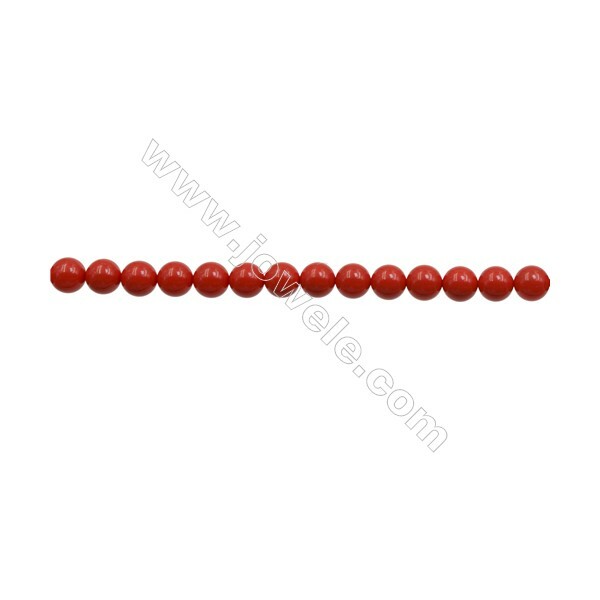 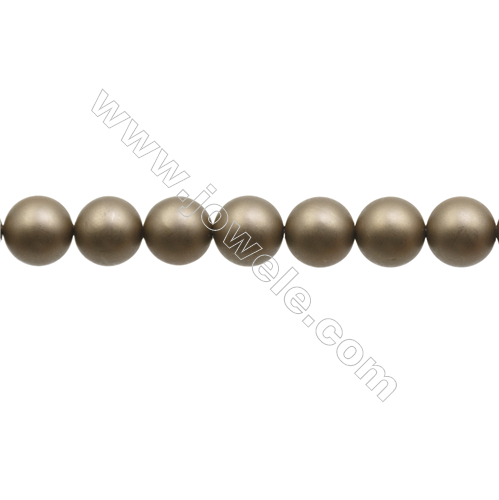 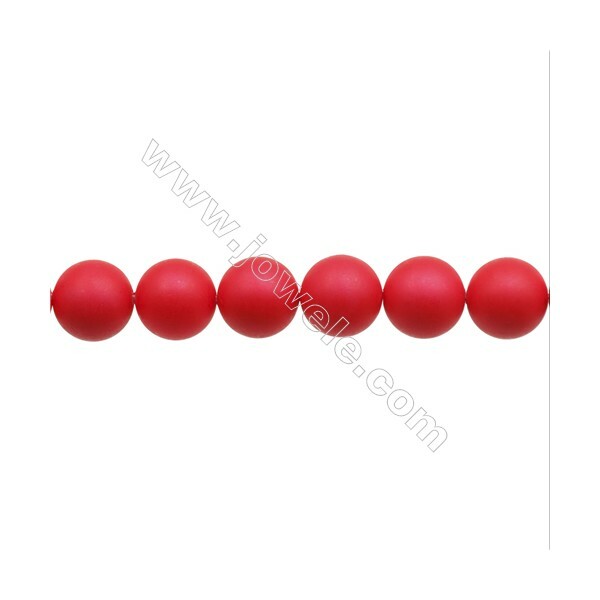 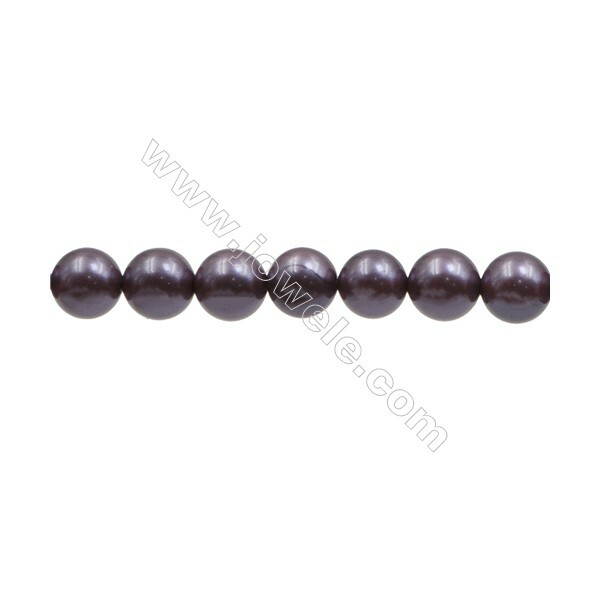 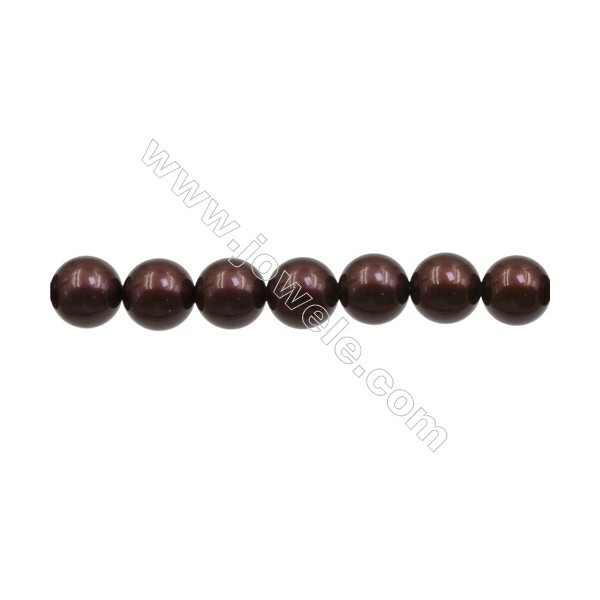 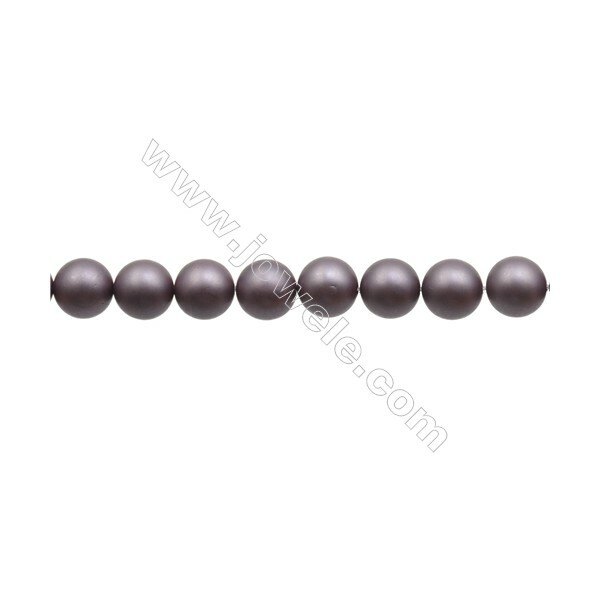 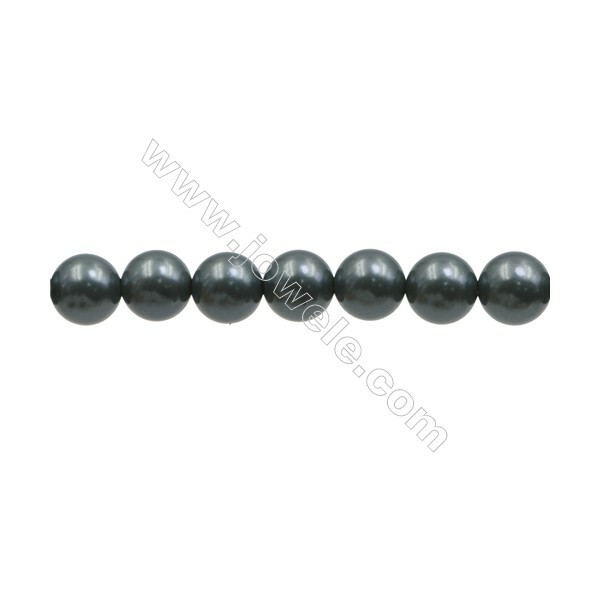 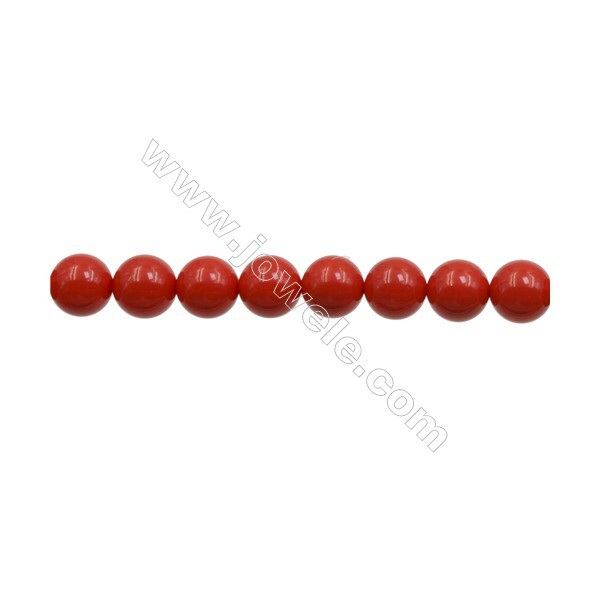 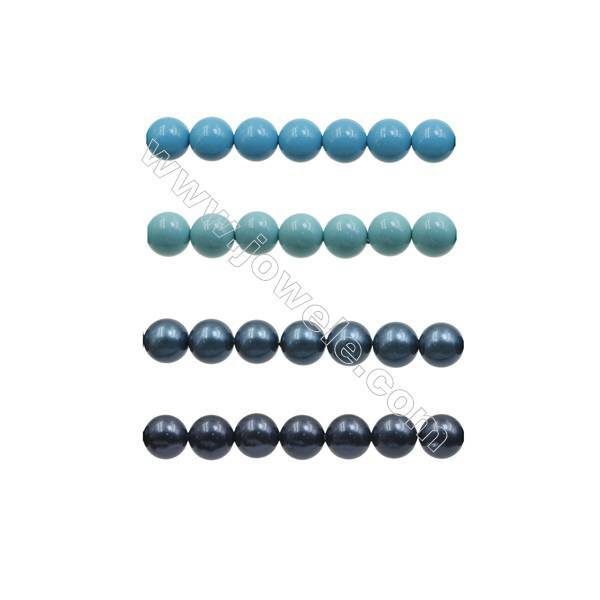 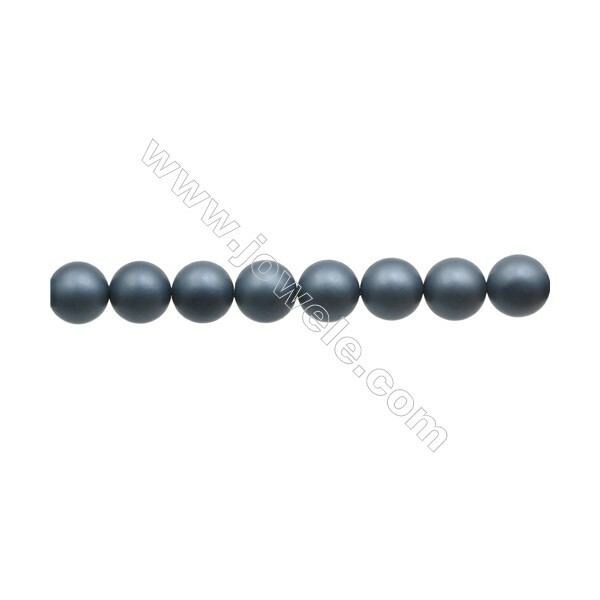 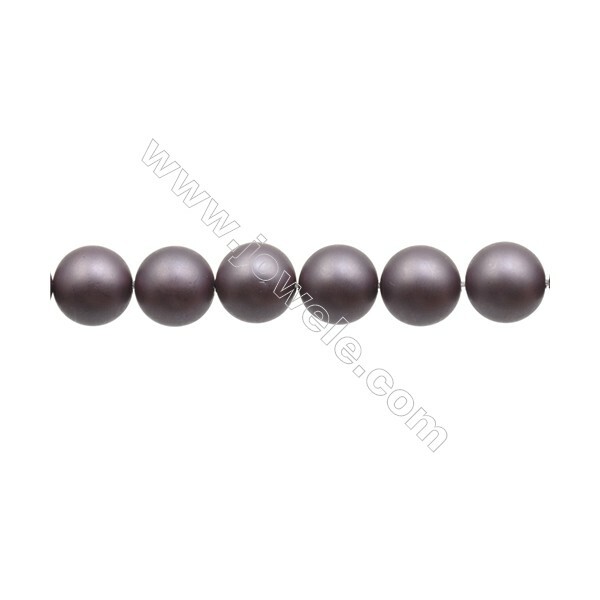 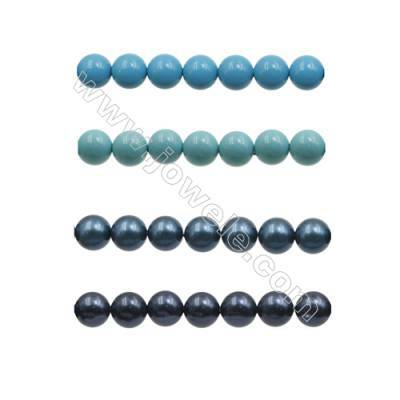 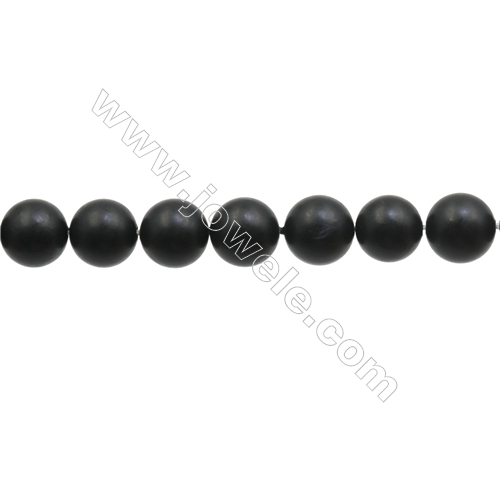 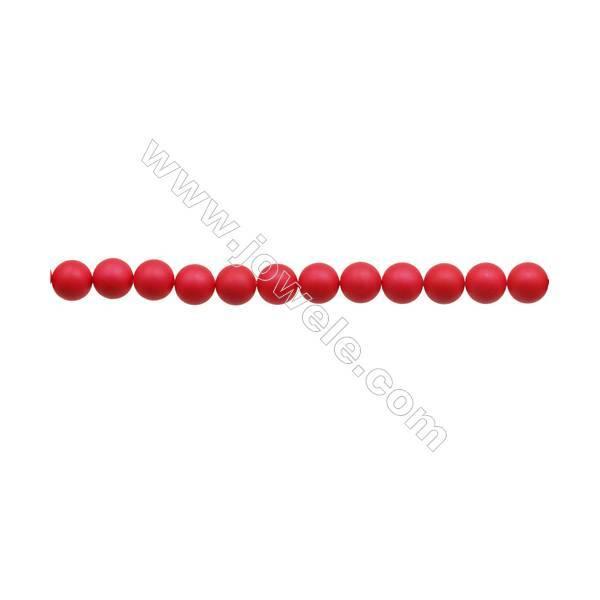 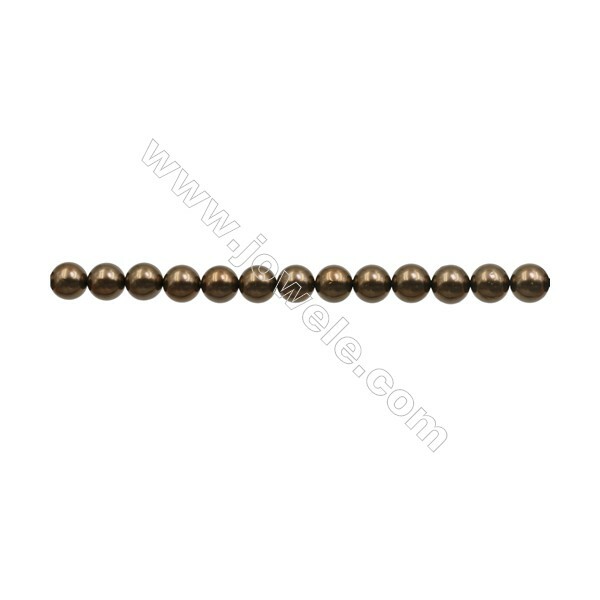 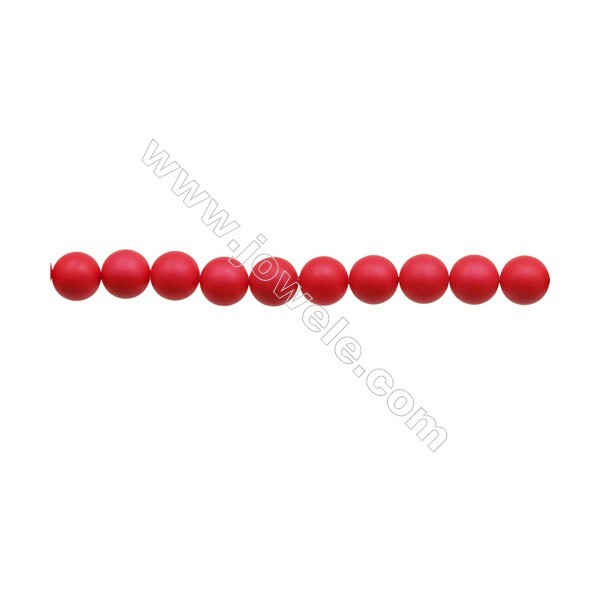 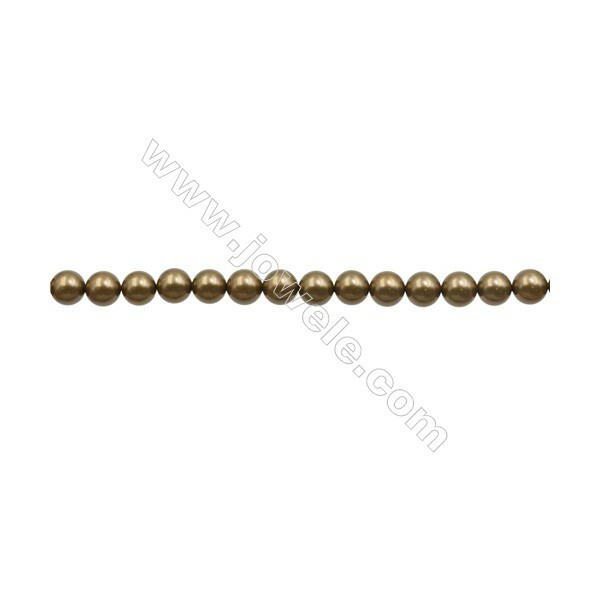 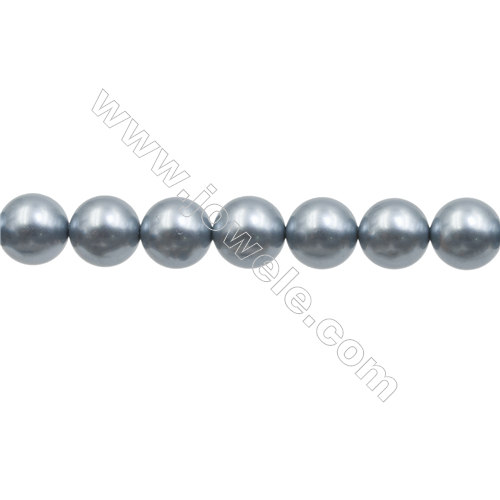 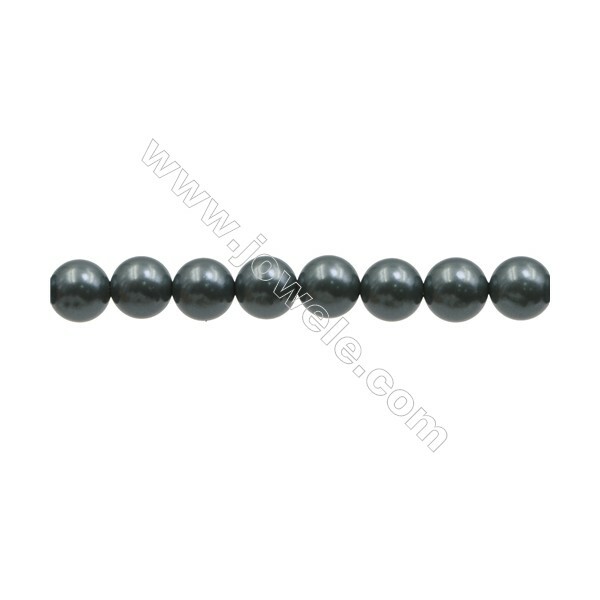 10mm Matte Shell Pearl Round Beads, Hole 0.8mm, about 40 beads/strand, 15~16"
10mm Matte Shell Round Beads, Hole 0.8mm, about 40 beads/strand, 15~16"
10mm Matte Shell Pearl Round Strand, Hole 0.8mm, about 40 beads/strand, 15~16"
8mm Matte Shell Round Beads, Hole 0.8mm, about 50 beads/strand, 15~16"
8mm Matte Shell Pearl Round Beads, Hole 0.8mm, about 50 beads/strand, 15~16"
6mm Matte Shell Pearl Round Beads, Hole 0.8mm, about 66 beads/strand, 15~16"
6mm Matte Shell Pearl Round Beads, Hole 0.8mm, about 50 beads/strand, 15~16"
4mm Matte Shell Pearl Round Beads, Hole 0.6mm, about 96 beads/strand, 15~16"
12mm Matte Shell Pearl Round Beads, Hole 1mm, about 33 beads/strand, 15~16"
14mm Matte Shell Pearl Round Beads, Hole 1mm, about 28 beads/strand, 15~16"
16mm Matte Shell Pearl Round Beads, Hole 1.2mm, about 25 beads/strand, 15~16"
16mm Green Series Mother Of Pearl Round Beads, Plating, Hole 1.2mm, about 25 beads/strand, 15~16"
16mm Violet Series Mother Of Pearl Round Beads, Plating, Hole 1.2mm, about 25 beads/strand, 15~16"
16mm Blue Series Mother Of Pearl Round Beads, Plating, Hole 1.2mm, about 25 beads/strand, 15~16"
16mm Brown Series Mother Of Pearl Round Beads, Plating, Hole 1.2mm, about 25 beads/strand, 15~16"
16mm Orange(Yellow) Series Mother Of Pearl Round Beads, Plating, Hole 1.2mm, about 25 beads/strand, 15~16"
16mm Red Series Mother-Of-Pearl Round Beads, Plating, Hole 1.2mm, about 25 beads/strand, 15~16"
16mm Grey Series Mother Of Pearl Round Bead, Plating, Hole 1.2mm, about 25 beads/strand, 15~16"
14mm Gray Series Shell Pearl Beads, Hole 1mm, about 28 beads/strand, 15~16"
14mm Red Series Shell Pearl Beads, Hole 1mm, about 28 beads/strand, 15~16"
14mm Orange Series Shell Pearl Beads, Hole 1mm, about 28 beads/strand, 15~16"
14mm Brown Series Shell Pearl Beads, Hole 1mm, about 28 beads/strand, 15~16"
14mm Blue Series Shell Pearl Beads, Hole 1mm, about 28 beads/strand, 15~16"
14mm Violet Series Shell Pearl Beads, Hole 1mm, about 28 beads/strand, 15~16"
14mm Green Series Shell Pearl Beads, Hole 1mm, about 28 beads/strand, 15~16"
12mm Gray Series Shell Pearl Beads, Hole 1mm, about 33 beads/strand, 15~16"
12mm Red Series Shell Pearl Beads, Hole 1mm, about 33 beads/strand, 15~16"
12mm Orange Series Shell Pearl Beads, Hole 1mm, about 33 beads/strand, 15~16"
12mm Brown Series Shell Pearl Beads, Hole 1mm, about 33 beads/strand, 15~16"
12mm Blue Series Shell Pearl Beads, Hole 1mm, about 33 beads/strand, 15~16"
12mm Violet Series Shell Pearl Beads, Hole 1mm, about 33 beads/strand, 15~16"
12mm Green Series Shell Pearl Beads, Hole 1mm, about 33 beads/strand, 15~16"